Friday Actifit Health & Fitness Radio Show - The Recording! Yesterday we've had our 6th episode of our weekly Actifit Health & Fitness Show. Yes it was a blast ! Our main guest was Katie, also known as @plantstoplanks on Steem, and on her website! We had a great chat, whereby she shared her amazing journey into fitness, becoming a trainer and nutrition expert, and her move to the vegan lifestyle, not to forget her wonderful pushup combinations which you can see on twitter ! We also had 3 giveaways. The winners were: @roger5120, @akomoajong, and @bluengel. Each received 50 AFIT tokens.. Congrats! 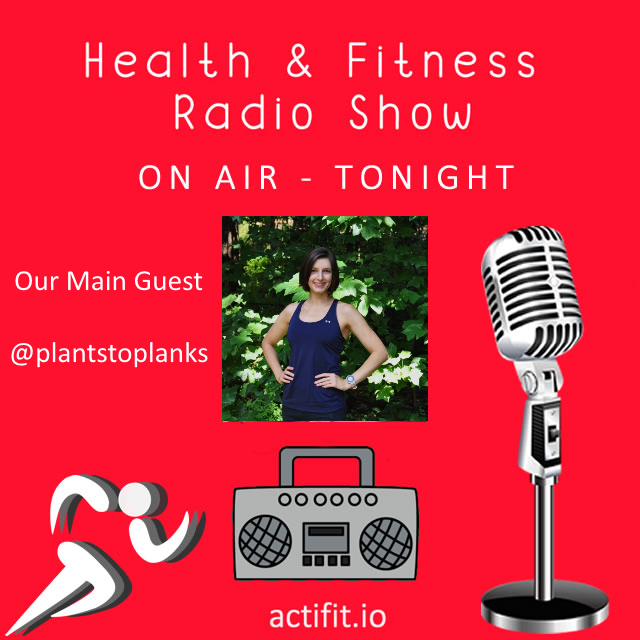 Actifit Health & Fitness Radio Show aims to further connect actifitters together, with actifit team, to be a fun & health enticing experience while getting real life experiences from trainers & actifitters alike. Our latest voting round included 505 rewarded activity reports. Below are the top 20 actifitters from this round. Well done guys !! Today's Random Double Up Reward went to @fitnessgal! This lead to doubling up the AFIT token rewards and the STEEM upvote value, but also to leading the top rewarded actifitters. During the last voting round, we were happy to welcome the below new actifitters, joining more than 2,300 unique users who had posted an actifit report. Our recent joiners are: @guz1987, @karakoram-valley, @radosny, @frauz, @bucipuci, @daljeetmyd, @istevini, @poldo6924, @steemitwork, @toscano61, @incazzatore80, @masner, @oliveira4467, @zoon123 and @krazypoet. Aww, glad you are able to check it out! A fun chat for sure! A huge hug to all recent actifitters 🤗 @guz1987, @karakoram-valley, @radosny, @frauz, @bucipuci, @daljeetmyd, @istevini, @poldo6924, @steemitwork, @toscano61, @incazzatore80, @masner, @oliveira4467, @zoon123 and @krazypoet. Congrats to everyone mentioned. You are pushing the bar higher and higher. Bravo! Have fun on the show, @plantstoplanks! You made more than 68000 upvotes. Your next target is to reach 69000 upvotes. thank you for helping us step our way to better health.. and to get rewarded for it too! !